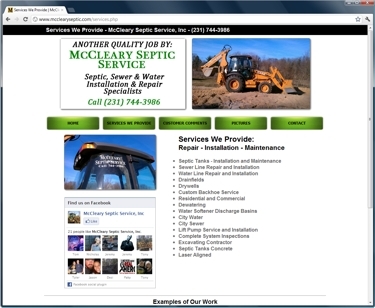 I recently did a ground up build of McCleary Septic Service, Inc‘s website. 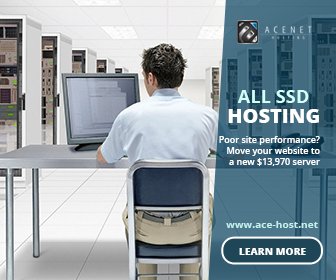 This business has been very successful for over 20 years and has not had a website for the last few years. We started off with a clean looking 5 page layout that gives all of the pertinent information for the business along with an easy way to contact them, linked this main website to their Google business page which we needed to claim and add information too, and also built a Facebook fan page. One thing that I had noticed right away as we started to build was that there where many customers comments on Google, super pages, yellow book and a few other smaller business directories that where very positive, but where spread accross about six sites. 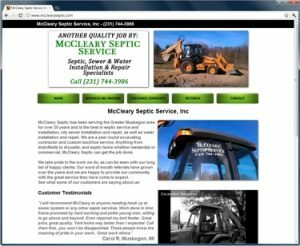 Basically I hand picked the ones I thought where the best and added them to a customer comments page on the site, and also added some linking between the McCleary Septic site to the Google business page to encourage his future customers to comment there. I believe that to be the best strategy as it does look as though comments on the Google business page have a tendency to effect ranking. We also ground up built a Facebook fan page which I think will really help to make McCleary Septic become even more of a household name in the area. I hooked the fan page up and showed Tony how to Upload pictures on the job sites straight to his fan page, which I have already seen him using, and I really believe in this situation is a very cool feature. When doing the keyword research I noticed for many search strings Google was serving up the business pages which where McCleary Septic and three other competitors. He was steady ranking 2nd to 4th in most situations which changed almost overnight to 1st and 2nd just by optimizing his business page and adding the website. The potential there of him catching extra work he would have not gotten before is huge and that is why I love doing these ground up builds for small businesses in the Muskegon area. 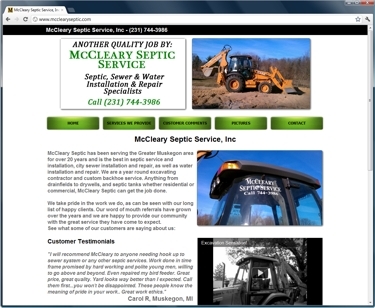 Visit the McCleary Septic website today!